Hello my little fashionistas, and welcome back to The British Fashion Notebook! I just wanted to do a quick post on my love for a brand of make up that I feel needs more attention and the bigger make up brands should watch out for. I am, of course, talking about the brand KIKO– they are an italian brand that are incredibly affordable, you can buy them online as well as visiting the shop in Oxford Circus. Anyway, I went in the other day and picked up a few items that I have to tell you about. Now I have noticed that many beauty bloggers have been talking about the By Terry Ombre Blackstar cream eye shadow sticks, now whilst they are beautiful, very pigmented and obviously luxurious, not everyone is able to afford to indulge in buying them, much like myself. But I think I have found the dupe the is more than affordable and of excellent quality. 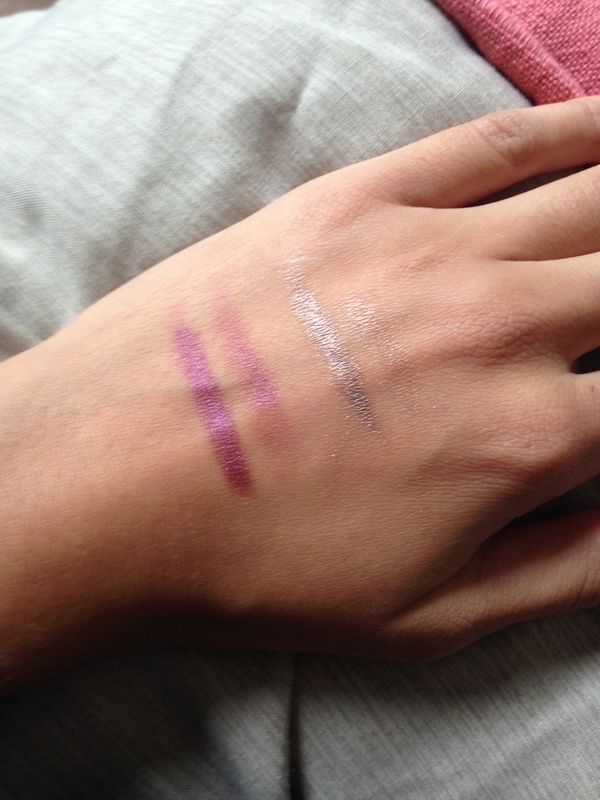 I am talking about the KIKO long lasting stick eyeshadow and they are seriously AMAZING! They have serious staying power and blend effortlessly and are perfect for when you are on the go. I love to use these when I am getting ready to head to job interviews as they look effortless and you don’t need to worry about dealing with brushes as you can swipe them across your lid and blend them with your clean fingers. As well as their incredible formula they only cost £6.90! I know, crazy isn’t it! The two colours that I picked up are in the shade 06 which is a really pretty dark golden glitter shadow and 37 which is more of a plum shade. I just adore these and I know I will be heading back to Kiko to pick up some more. The next Kiko product I’d like to talk about is a Kiko mascara. I am very particular when it comes to mascara as I love to really work my lashes with product without them looking clumpy and spidery. I picked up the Volume eyes+ active mascara in black. I am so pleased with this mascara, it really fans out my lashes and I can build it up to add volume without my lashes getting clumpy! I also love the shape of the wand as it tapers to the point it allows me to catch every lash. And it’s a comb wand rather than a plastic one. And finally, I also picked up a beautiful highlighter/cheek brightener, mainly because the packaging caught my eye and then I saw the beautiful pearlescent pink blush! I don’t really own many blushes, they aren’t something I tend to wear all the time unless it’s a very special occasion, I am much more of a contour and bronzer kind of gal because my cheeks tend to be pretty rosy most of the time anyway. The blush is from Kiko’s spring 14 collection Rock Attraction and is a brightening blush and creates a lovely natural finish. The blush has a velvet texture and blends beautifully onto the skin. I picked up the lightest shade in 01 Pearly Rock and I love to use this as a highlighter on the tops of my cheeks, down the bridge of my nose, on my cupids bow and also to highlight the inner corners of my eyes. I also adore the embossed denim pocket design of the blush, which makes it really unique. So that was just a quick few items that I have fallen in love with from Kiko and I m sure they will not be the last! Have you tried any Kiko products yet?